Kendrick has been awarded through the Provincetown Community Compact, a residency in the Peaked Hill Bars National Register Historic District.She will be residing in one of the 19 well-known Dune Shacks. The Shack is tucked away from civilization, but it has lodged several famous artists and authors throughout time who have been in search of seclusion in which to work. 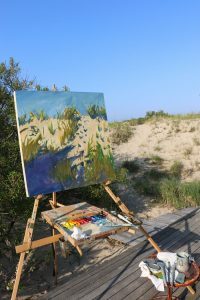 Dune Grass was painted en plein air during the artist-in-residence stay at C-Scape Dune Shack on the National Seashore, MA. 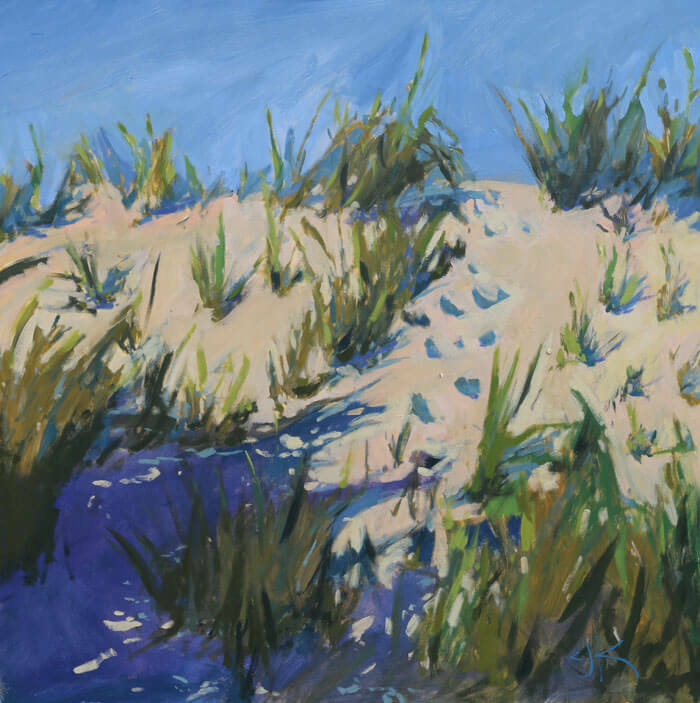 Claire J KendrickSeascape SeriesJune 20, 20160 commentscape cod, cjk, claire J Kendrick, dune grass, sand dune painting.